Noise Pop Festival returns to various San Francisco venues from February 19 to 28, and they’ve got the quite the lineup so far. Reunited ’90s bands American Football and Drive Like Jehu are billed alongside (noise?) 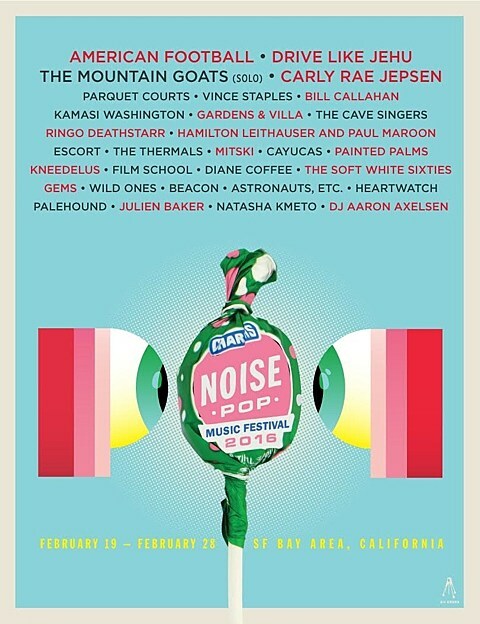 pop singer Carly Rae Jepsen, current indie rock staples Parquet Courts, rapper Vince Staples, jazz musician Kamasi Washington, long-running wordsmiths Bill Callahan and John Darnielle, promising new artists Mitski and Julien Baker, a collaborative set from Daedelus and Kneebody as Kneedelus, and many more.